This photograph shows the Atchison, Topeka and Santa Fe Railway Company depot in Albuquerque, New Mexico. 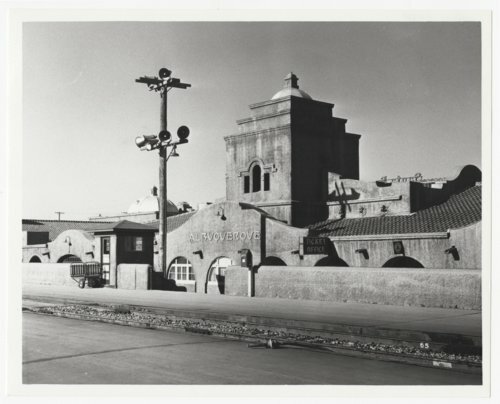 The California Mission style structure was designed by architect Charles F. Whittlesey. The facility was razed in 1970.